Welcome to LIFESAVER 101 FIRST AID & CPR TRAINING!!! At Lifesaver 101 our programs offer participants an enthusiastic, fun and effective approach to First Aid & CPR training. Our WSIB compliant courses are ideal for workplace requirements as well as the needs of students and other individuals looking for First Aid and CPR certification across Ontario. We offer courses in Standard and Emergency First Aid, all levels of CPR certification as well as Automated External Defibrillation training. Courses are offered at our training facilities or we are happy to send an instructor out to your location. Lifesaver 101 provides First Aid, CPR and AED training in Ontario, including Standard First Aid and CPR Level C courses, Emergency First Aid and CPR Level B courses, CPR courses, and Automated External Defibrillation training. All of our courses meet the requirements of Regulation 1101 of the Workplace Safety & Insurance Act, and are offered at our Ontario lifesaving training centres in Toronto, Sudbury, and our new Durham Region Lifesaver training office located in Pickering, serving the communities of Pickering, Ajax, Whitby, and Oshawa. With 3 Ontario Lifesaver 101 First Aid and CPR training centres, we make it convenient for students from across the GTA, the Durham Region, and Northeastern Ontario to attend our lifesaving classes and learn to save a life the right way. 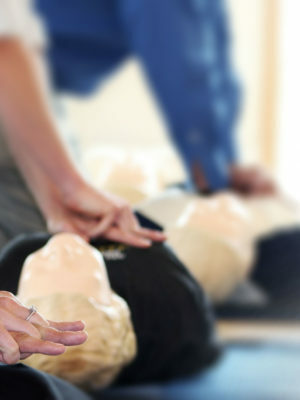 We can also arrange for offsite CPR and First Aid training. There has never been a better time to learn, recertify, or upgrade your lifesaving skills. Lifesaver 101, with three first aid medical training centres in Ontario makes getting first aid training and CPR certification fun and convenient. Our Ontario lifesaving training centres have all mandatory First Aid courses to fulfill school and workplace certification requirements. We also hold classes for those who want to improve their lifesaving skills, including Standard and Emergency First Aid classes and courses in CPR Level B, CPR Level C or Level HCP, and Defibrillation certification classes in Toronto, Sudbury, and Durham region. Click one of the cities above and BECOME A LIFESAVER TODAY!